Nobody likes a disclaimer but I am beginning with one. I realise this is not the most appropriate time to write a piece like this, particularly with the Diamond Jubilee and all. But I am a tall, thin female with brown hair, I get a blow-dry now and then, I used to wear shift dresses and even shopped in L.K Bennett (during the sales). People used to say “you look nice today, very pretty, very stylish etc” now they say “You look so Kate Middleton/Duchess of Cambridge.” Whenever those words are uttered the first thing I think is “What sort of message am I sending?” Then a visceral, nauseating sensation fills my gut… The Kate effect has come to haunt me. If I don’t rethink the “Kate effect” anew, I am in danger of joining a new national army of Stepford Wives, hence my words below. After two billion viewers from around the world tuned in for the marriage of Catherine Middleton to Prince William last year, “Kate fever” has grown in momentum and shows no sign of waning. The Duchess only has to adorn the latest piece from Whistles, Jenny Peckam or L.K Bennett for products to fly off the shelves in a shopping frenzy dubbed the “Kate effect”. 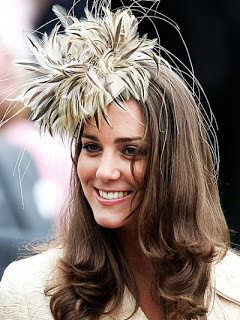 It is now estimated that the Duchess is worth 1.5 billion dollars to the UK economy. In addition to this, the new royal princess has been described as reinvigorating the royal image and has has recently been named as one of Time magazine’s 100 most influential people. The Duchess of Cambridge’s public persona is increasingly being offered as a modern role model and even magazines that present a feminist agenda have featured her on the front page (their view being that in the last fifteen years, there has been a shift in attitudes towards the Royal family and arguably Catherine plays an important role in that change.) However, whatever the reasons, they do not distract from the fact that The Duchess of Cambridge’s public image enacts a subtle yet repetitive violence on attitudes about females, their identities and their roles. Furthermore, the miniaturisation of this violence leaves room for PR hype to brush over the legacy of female stereotypes that are still prevalent in society and are in many ways more damaging to women’s identities as a whole. Yet, the most damaging thing about Stepford Wives is that they epitomise entrapment and containment. A Stepford Wife is an idealised vision of womanhood. In the past, stories in which women were frightened or intimidated into taking on these roles by men remained popular (The story of Patient Griselda is a good example of this). But now, good PR is about carefully controlling a public image and the Duchess of Cambridge remains closed-up, removed from us, petrified into idealisation by media hype. Back when she was Kate Middleton, she was stripped of her “commonness” and her further reaching thoughts and interests were cast aside. She has become an all new, state of the art; batteries included personification of a Virtuous Female, (a more old-fashioned term for Stepford wife) and is now squishing her skinny frame onto the same pedestal as Grace (nymphomaniac) Kelly, Jackie Onassis and god forbid… the Virgin Mary. Monstruous? I’d say so. Some feminists make the very relevant, albeit unpopular point; that the message the Duchess of Cambridge sends to young girls is one of “if you want to be successful, if you want to be admired, you need to snag the right bloke.” Many of the rebuttals I have heard (and the most impassioned ones are from women) go a little like this; “Had Catherine bothered to pursue a career or more education before marriage; it would have made no difference! She still would have been known as a woman whose success lay in the fact that she married a prince.” This point, coupled by the fact, public sympathy towards Catherine is bolstered by the underlying belief in love conquers all and we can’t help who we fall in love with. However, whatever your views are on this matter, they do not distract from the truth that The Duchess of Cambridge’s public image, (which is increasing in influence), is based on a stereotype that has been prevalent in society for centuries. I urge people, not to forget the REAL milestones. For example, the equal pay Act, which only came into force in the UK in 1975. 37 years is a comparatively short time especially when compared with the theme of the virtuous women which dates back to classical civilisation. What I am basically saying is, you don’t have to of been infected with “Kate fever” for the Stepford message to have trickled through. We are all fluent in what desirable women “should be doing” and if we are not that’s what Grazia is for. It takes real gumption to escape from the notion that success is somehow linked to being dutiful to what has gone before and every time I see a “Kate blouse”, “Kate Shoe” or “Kate frock” in a high street store I am reminded of this. As the Kate effect increases the Stepford army grows. How long do I have before I turn into a servile, soulless object and I wonder if I do find a spinning wheel to prick my finger on… would I still bleed? Barbra Creed’s The Monstrous Feminine inspired me to write this. Casually chauffeured hair? I like that mental image! Use of the word “violence” is a bit strong. Also, Philip is only really known for being married to the queen. Surely it’s more about one party being born into the royal family and the other party marrying in that causes the divide in people’s attitude. I’m not sure that gender really comes into it. I’m sure you have a lot of interesting things to say, but you lost me with a basic lack of fact-checking at sentence #1. To be fair to the author, this statistic was widely reported by a variety of news sources, including the BBC. So we hope that you are putting your money where your pompous mouth is and refusing to watch the news at ten. I hear you on a lot of this but I don’t think it’s fair to imply she has an eating disorder. 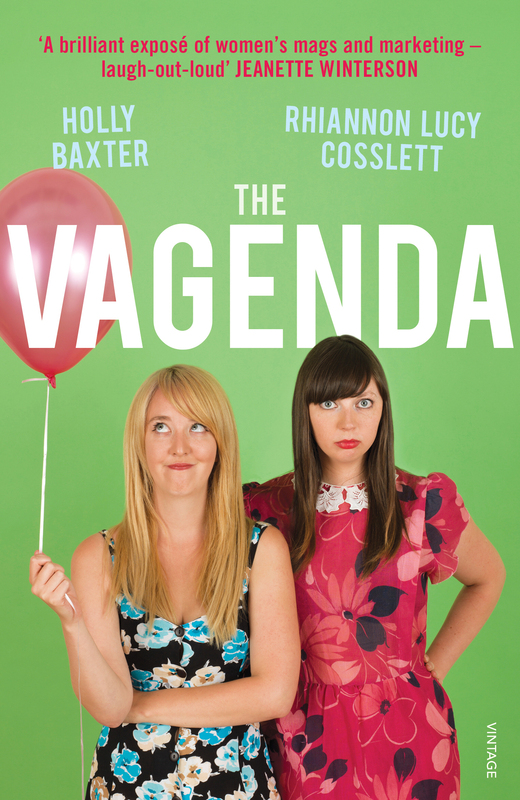 Vagenda is the last place we need to hear speculation on a woman’s weight and eating habits.